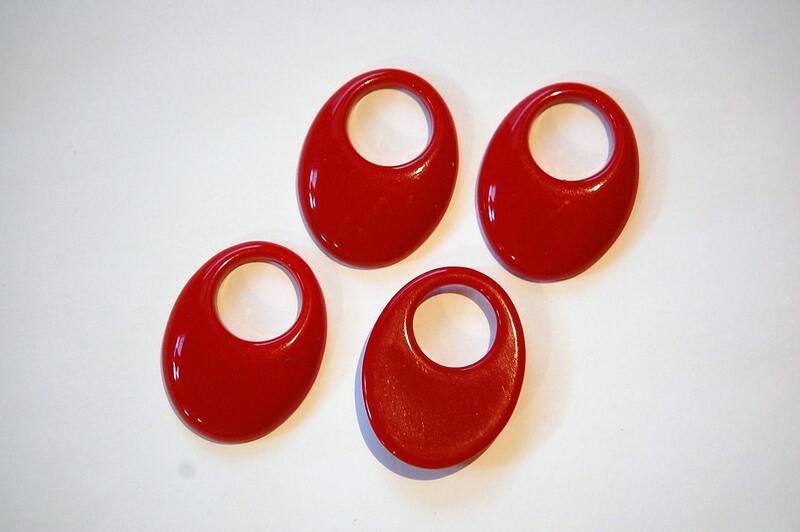 These are vintage red acrylic drops. 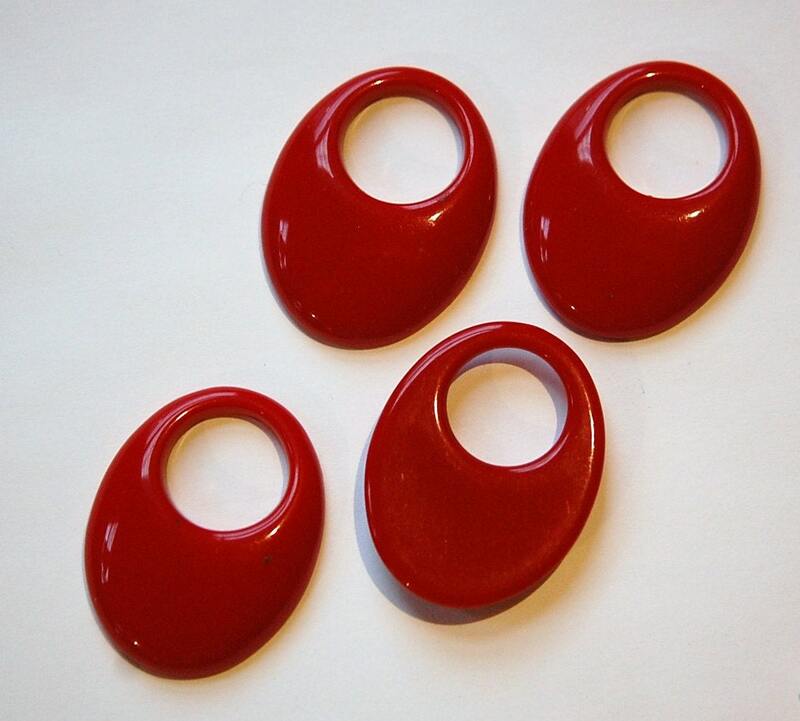 They are domed on the front and flat on the back. The inner opening measures about 14mm. The entire piece measures 36mm long X 28mm wide. You will receive 4 pieces.